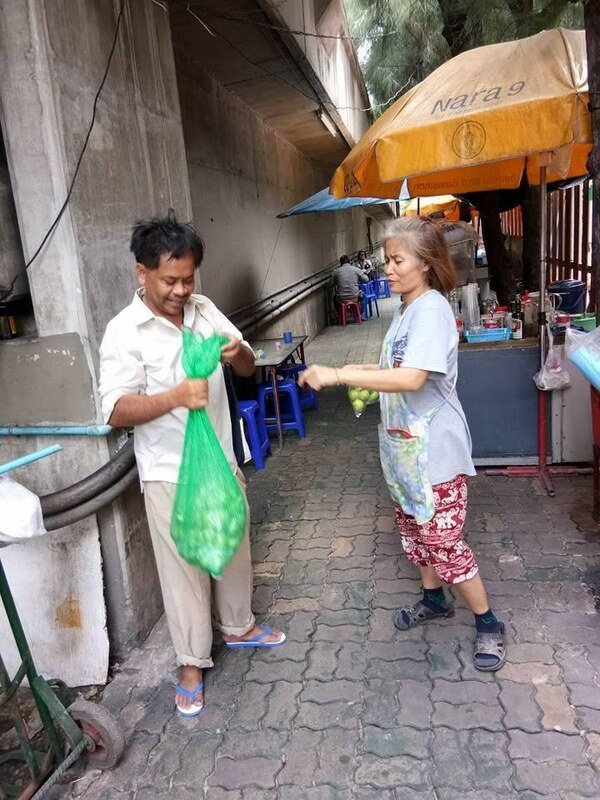 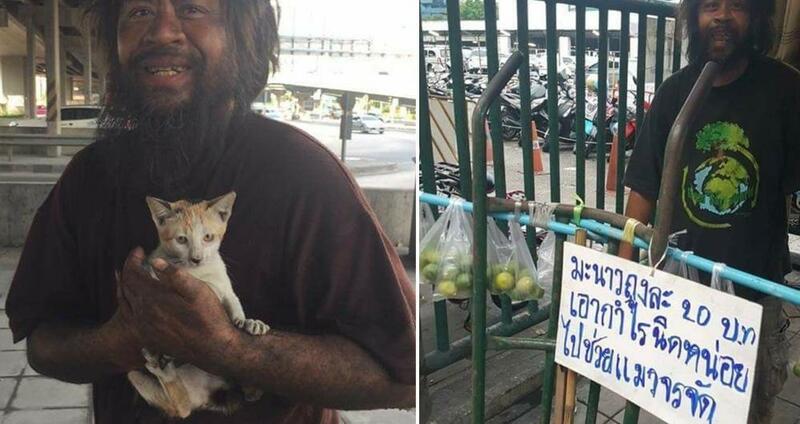 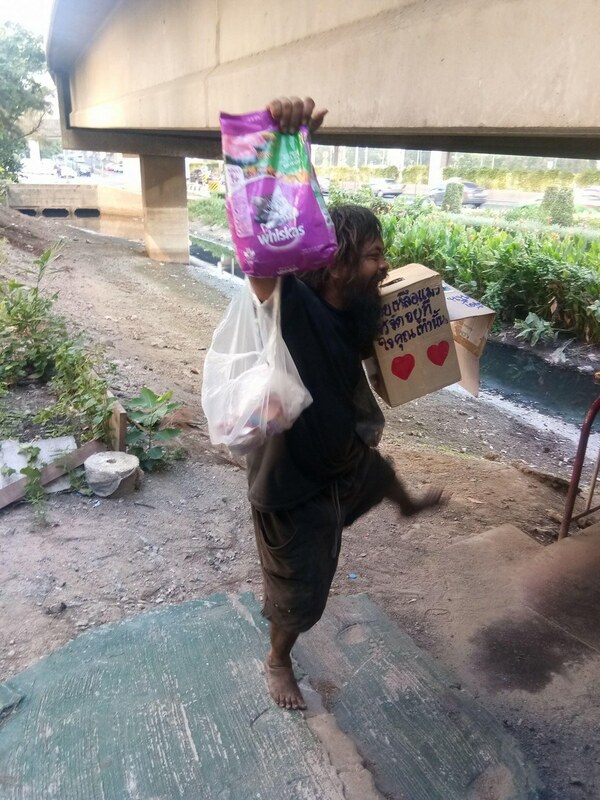 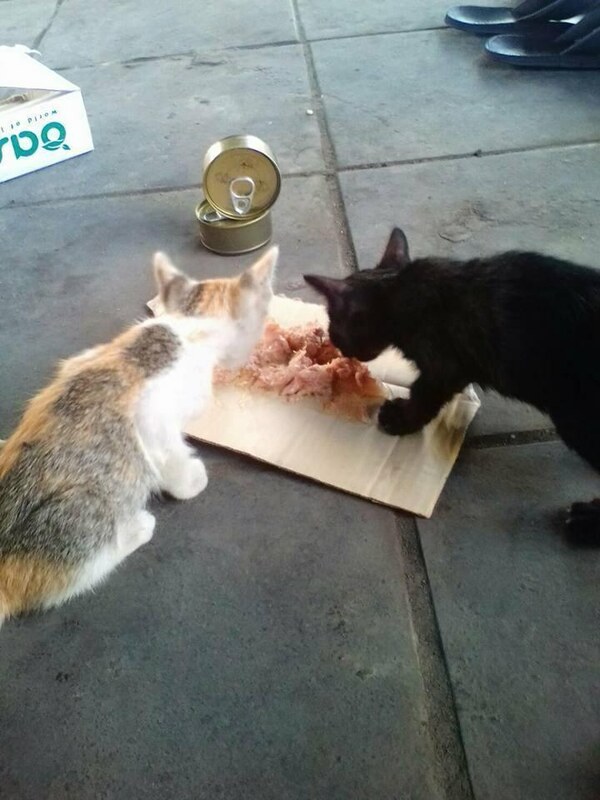 It all began when a young woman, Warunya Wattanasupachoke, spotted the homeless man selling limes with a sign saying “20 baht per bag, profits will pay for stray cat’s food expenses“. 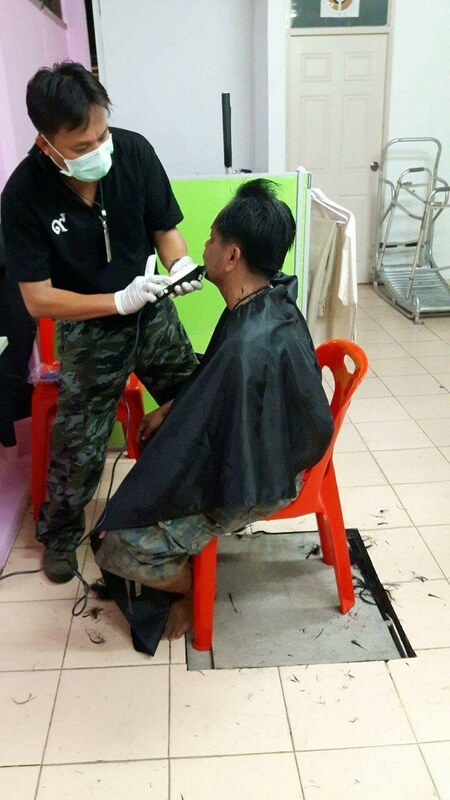 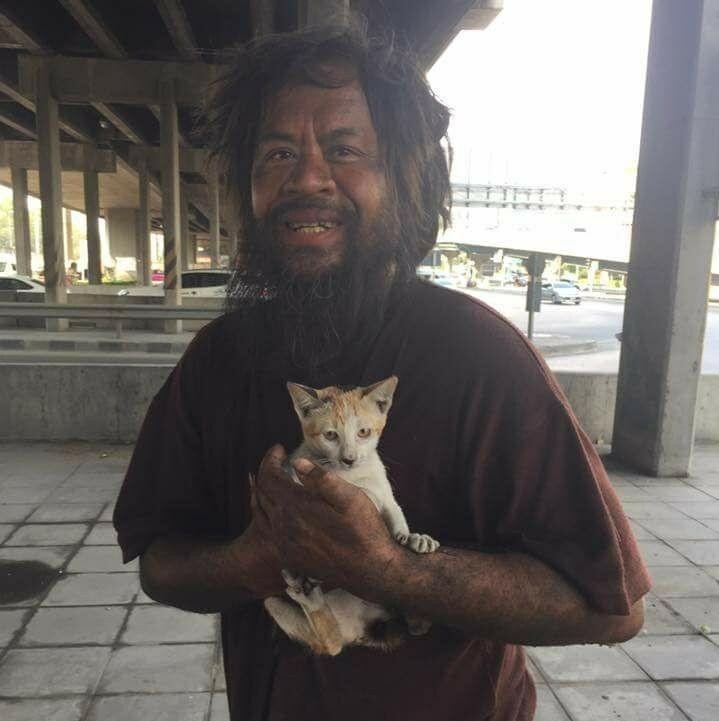 The man, “Loong Dum”, has been caring for the local homeless cats since he first came across one. 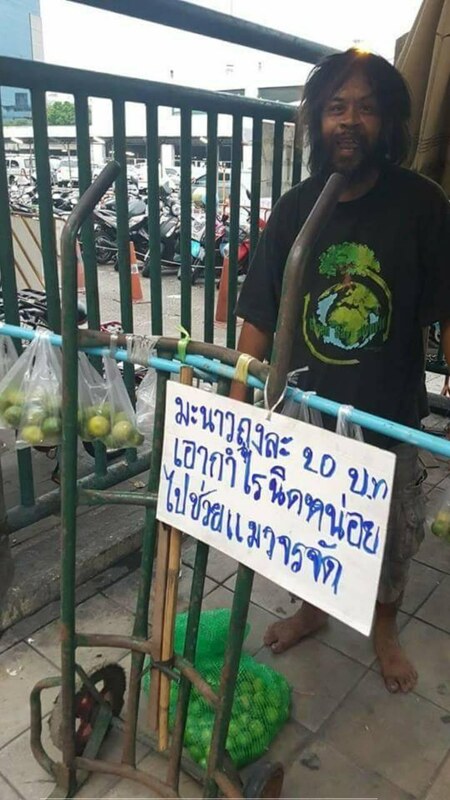 Every day he sells limes to raise funds to feed the strays. 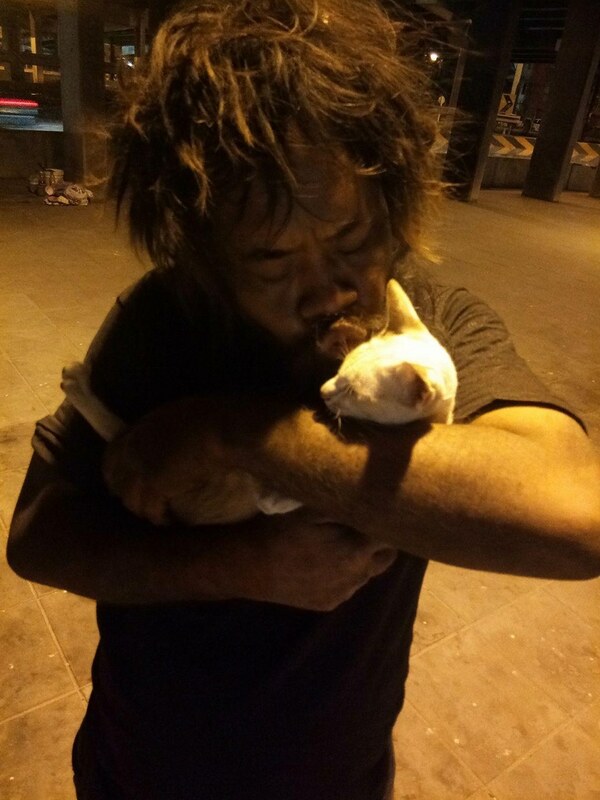 To him, they are his family, and they rely on him. 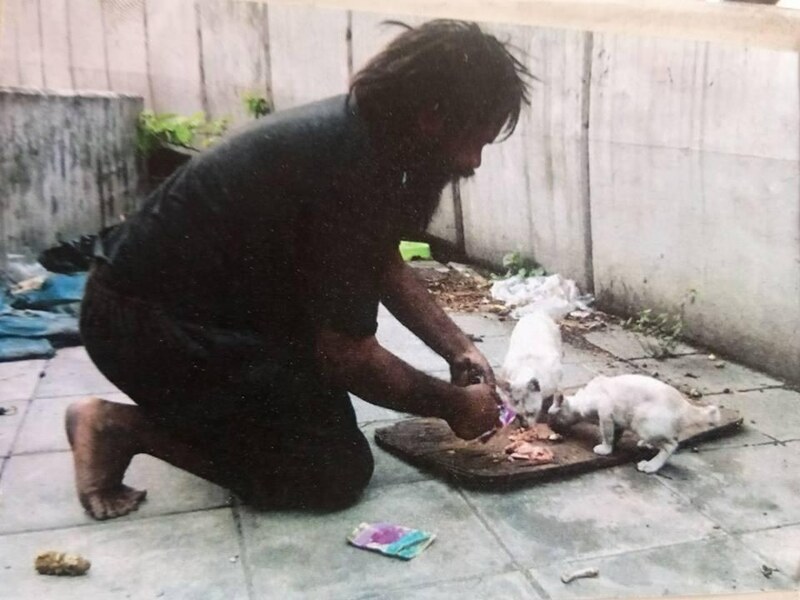 “I’m fine with skipping meals, but the cat needs to eat” he said. 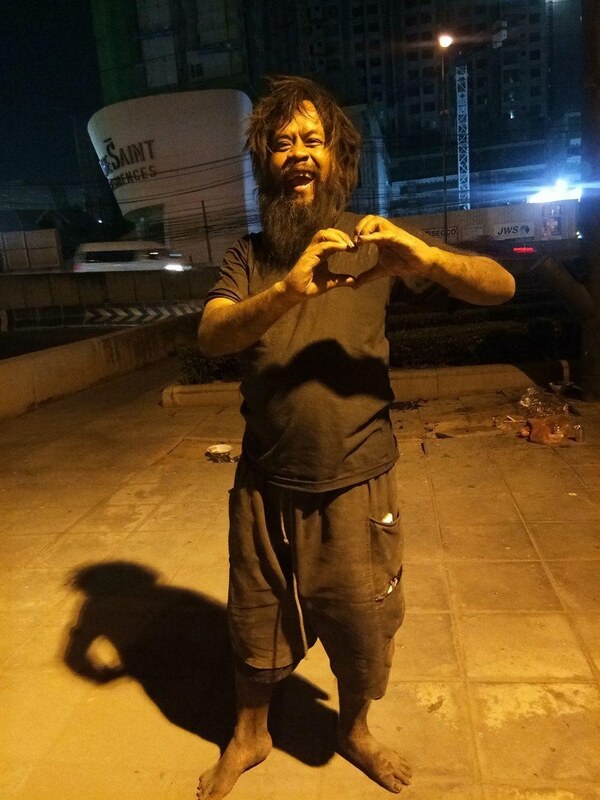 “Your outer appearance doesn’t matter. 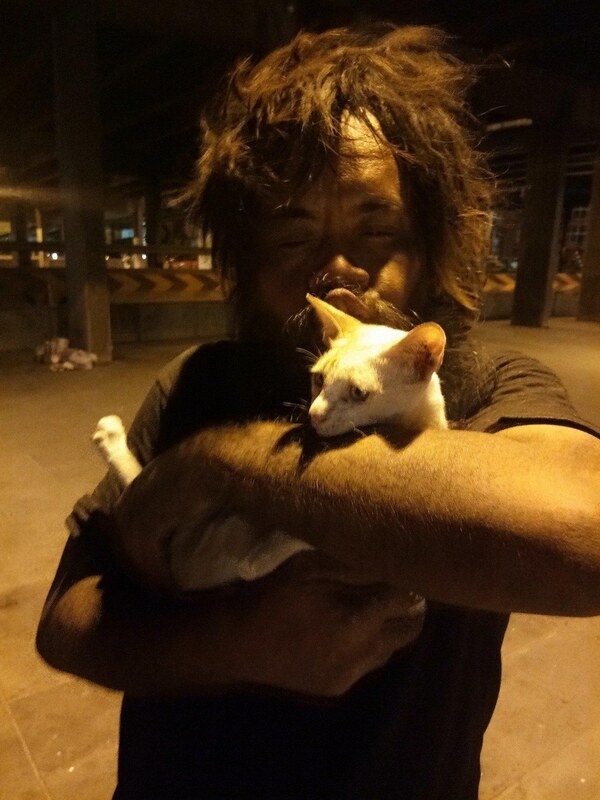 At the end of the day, your self-worth is defined by how good of a person you are,” the admin of Cat Lover Loong Dum said.